Facebook is a leading social media and social networking service company which has more than 2 billion monthly active users. Every minute 293,000 statuses are updated, 136,000 photos are uploaded and every 60 seconds on Facebook: 510,000 comments are posted. Simply, it plays a vital role in today’s way of living. But the question arises here, can I save all my data before deleting my facebook account. If you decide to delete your entire account, you can and should save all your data before deleting your Facebook account. You probably have a lot of photos, friends, and posts you have shared and you want to keep them as a memory. Fortunately, Facebook has an option to download all of that data, as well as the list of your pokes, your work history and a log of all the events you ever attended. 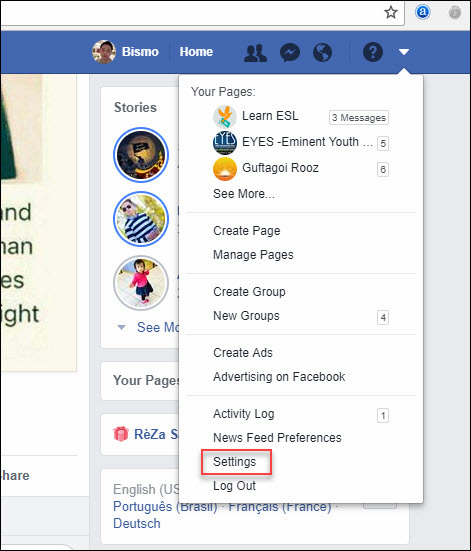 To download everything you have shared on Facebook, tap the menu icon and select Settings. Select General, in the bottom of General Account Settings, click on Download a copy of your Facebook data. By clicking on Start My Archive Facebook will archive all data, what you have shared on Facebook. You can request your download from Facebook by clicking Start My Archive and for security, you must re-enter your password to continue. After gathering your information, Facebook will send an e-mail to your email address when it is ready for download. IMPORTANT: Keep in mind that deleting won’t remove all your information from Facebook. 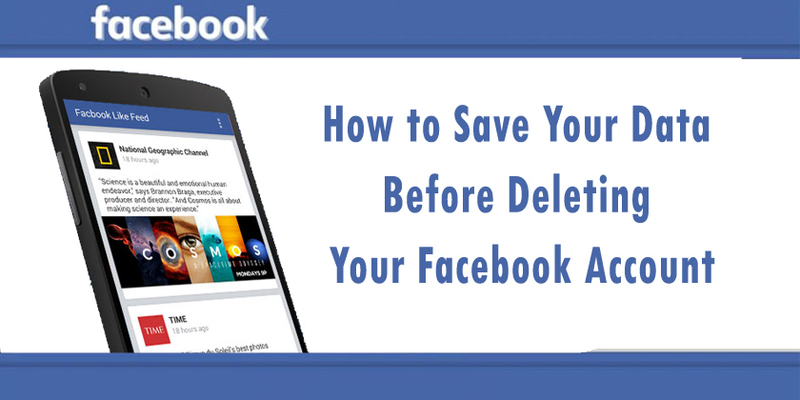 According to Facebook, it may take up to 90 days from the beginning of the deletion process to delete all of your data stored in the backup system. However, friends will no longer be able to see your profile, but even after 90 days have passed, friends may still see messages you have shared. Can I Log in After Deleting My Facebook Account? When you delete your Facebook account permanently, then you regret about your action and you want to recover and log in again into your account. Can you do that? Fortunately, you can but it has limited time. Facebook delays only a few days after the deletion is requested. Logging back into your account in few days, Facebook cancels the deletion process. What Happens When You Deactivate Your Facebook Account? Deactivating your account is not the as deleting it. When you want to take a break from Facebook then you can choose to deactivate your account. Deactivating your account is the best option to have your profile intact and log in back at any time later. Indeed, when you deactivate your account, it becomes invisible and no one can search for your or look at your timeline. However, your name is visible on friend’s contact list or in shared messages. When you log in again and reactivate your account, your profile will appear again with all your data still there.